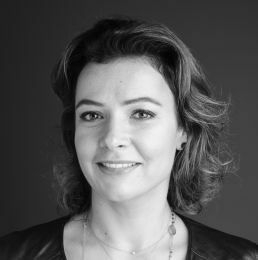 Marie-Emilie joined the firm in 2012, after six years as an associate with the employment department of Latournerie Wolfrom & Associés (2006-2012). Marie-Emilie specializes in employment and social security law. She assists French and international clients on day-to-day labour relations, individual and collective matters, reorganizations and special employment issues. She has also developed a strong expertise as en employment law litigator both before labour tribunals and civil jurisdictions. She regularly assists the firm’s corporate law team with employment related issues in M&A transactions such as employment law due diligence, informing and consulting works council, employee transfers, management packages and corporate reorganizations. Marie-Emilie is a member of the European Employment Lawyers Association (EELA) and the American Bar Association (ABA).